THE DENTAL ADVISOR is proud to present this year's Top Product and Preferred Product Awards. 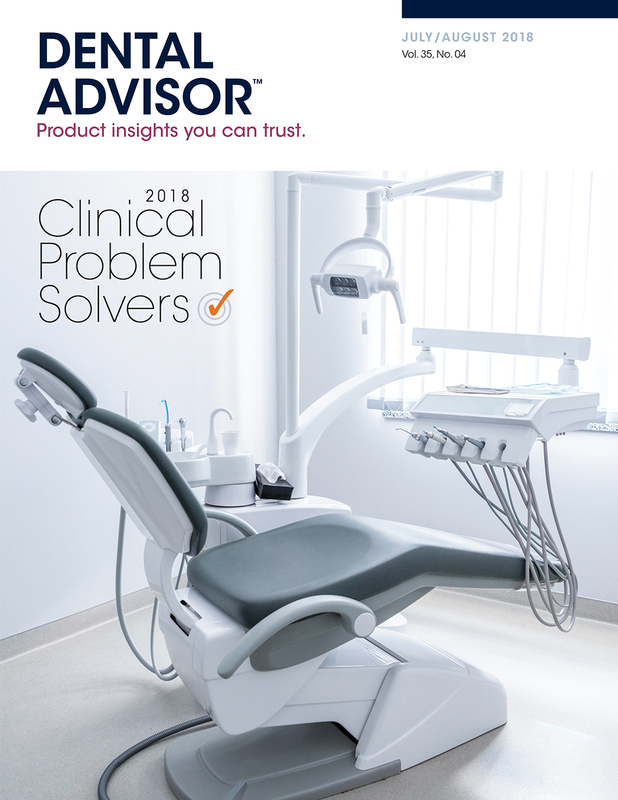 THE DENTAL ADVISOR awards are one of the most respected awards created to recognize quality products and equipment, taking into account clinical and evidence-based research to honor the best. We know that individual practicing dentists face an over-abundance of products (new and old) to choose from on a daily basis and limited time and resources can hinder the ability to thoroughly investigate the claims of manufacturers. It is gratifying to be able to combine our experiences as practicing dentists and clinical evaluators to offer you this list of go-to products that truly solve clinical problems. The award of Editors' Choice signifies a unique, significant product . The editors review each product and clinical evaluation article and then select the Editors' Choice. The Editors' Choice designation generally is awarded to Products but occasionally is awarded to Equipment.